Daily Dose Of Art: This Picture Made UAE-Based Photographer Get Shortlisted For The Sony World Awards! One thing I love highlighting and featuring on our platform is art. Today, let’s highlight the picture that got this UAE-based Photographer, Christopher Madden, to be shortlisted for the 2019 Sony World Photography Awards. 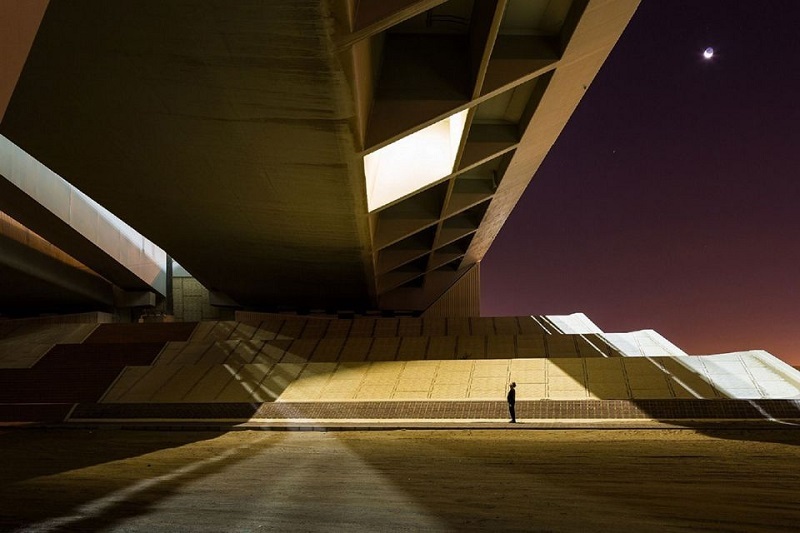 Madden is a British national who is based in Dubai, and he was shortlisted for the image called “Seeing The Light I” which was in the Open Architecture category. Madden stated that the inspiration for this photo came from an image created by the world-renowned architectural Photographer Ezra Stoller. Madden will now compete with the best photographers in the world, and the winner will be named the Open Photographer of the Year and be given the best Sony Camera Equipment, a flight to attend the ceremony in London, and $5,000. If you’re a photography enthusiast, you should definitely check out the competition’s website and get mesmerized by some of the most artistic pictures ever taken! With prizes like these, you should also consider applying next year! Shortlisted pictures will be showcased at the 2019 Sony World Photography Awards Exhibition at Somerset House in London before going on a global tour. In addition to being published in the annual Awards’ book.